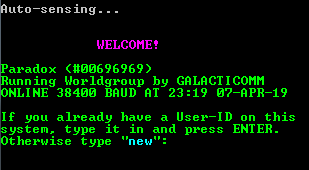 The Telnet BBS Guide offers a downloadable text version of the BBS list. This list includes both Telnet BBS listings as well as US/Canada Dial-up BBS listings. This is the “official” Telnet BBS Guide, updated monthly. This list is intended for distribution to other websites and BBS systems. This is an unofficial list which reflects additions and deletions over the course of the month. This list is NOT intended to be distributed to other websites or BBS systems, only for personal use. If you were logged in, you would see an option here to download your custom synchronet.lst file, based on the BBSes saved to My List.